Below you will find descriptions for the workshops Jennifer currently offers. She is always open to customizing a workshop for your school, district or organization. The workshops are designed to be one day sessions, 8:30am-3:00pm, and can be modified to be half day sessions or afternoon sessions as well. Please peruse and see what might fit your organization’s needs. If you don’t see what you need, Jennifer can design a custom session for you. If you’d like to arrange a workshop, contact Jennifer. 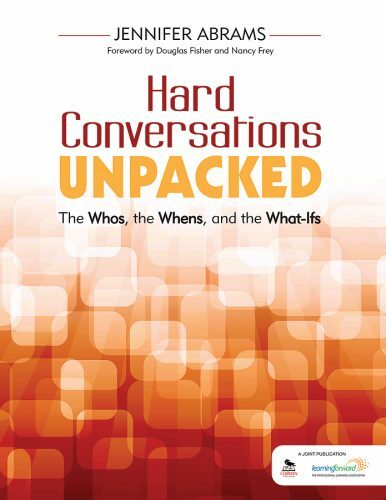 As administrators, coaches or colleagues, we often come up against situations where difficult topics must be addressed. What do we know about the best strategies for those moments? What questions should we be asking ourselves before we speak, and what environments are best for when we do speak? 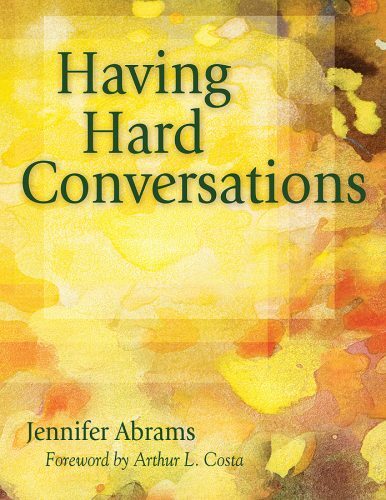 Based on Jennifer’s book, Having Hard Conversations, and her work with conflict and interpersonal communication, this session will provide participants with action plans and scripting tools for having those necessary hard conversations. Have you noticed your newer employees feel and look and act differently than novice colleagues you remember? Are you hearing of communication challenges between colleagues of different ages? Are you becoming aware more employees want a life-work balance vs. a work-life balance? Generational factors might be coming into play. Who are these four generations in our workplaces? What are their strengths and needs? What structures and communication protocols should we design to work well with them all? And, what knowledge do we need to help every group thrive? 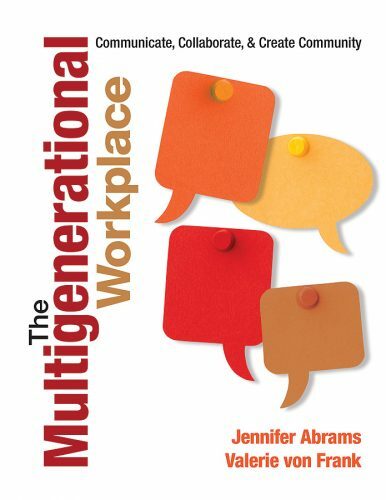 Using Jennifer’s book, The Multigenerational Workplace: Communicate, Collaborate and Create Community, this workshop will provide tools, resources on this increasingly intriguing topic. With Boomer administrators retiring in greater numbers over the next decade, supporting new leaders in our organizations is essential to successful succession planning. Experienced leaders need to articulate what legacy they wish to leave behind as well as well as learn and coach toward the skills and capacities aspiring leaders need to build and foster. Using work on generational savvy and leadership development, this session will provide rubrics and recommendations for supporting the growth of aspiring leaders. Gone are the days when a leader’s positional power was sufficient to advance an agenda. Today’s successful leaders must gain commitment to ambitious goals not only from people who work for them, but also from peers and a diverse group of stakeholders who are beyond their command. See how the ability to influence and persuade others is now a critical differentiator of leaders who move people to support their goals from those who can’t. Learn to recognize influencing behaviors in themselves and others. Learn language skills that influential people use effectively on a daily basis. Learn more about resistance and the triggers that threaten people and how to help people move past those triggers. Have time to work on personal case studies and learn specific strategies to increase your influence in your own organization. This workshop can be customized for leaders in all fields. An educational leader’s work is emotionally and psychologically demanding. One’s ability to be both intra-personally and inter-personally intelligent is essential for meeting the challenges of the day-to-day work and achieving the academic and organizational outcomes of a school district. This workshop will assist leaders at all levels in developing their self-awareness and interpersonal skill set so they are even better able to deal with the complex needs of their district, department or school, and will provide workshop participants with strategies and resources to help those they manage and support to do the same. This program is designed for educators, health care workers or professionals in any field interested in becoming more comfortable and confident presenting, facilitating or designing trainings or agendas. In our fast-paced work environments with new information coming at us at lightening speed, we need tools for designing efficient learning experiences that makes new information “stick.” Participants will leave this session with tools, resources, templates and strategies for powerful professional learning. The use of protocols for professional learning can be extremely helpful in optimizing professional development time. So much can be said and heard in a shorter time when parameters and structures are used to support powerful collaborative discussion. In this session, participants will learn at a variety of protocols, as well as methods for reviewing complex text and processes for looking at one’s work through a variety of lenses. We know how to do our jobs well and then we are appointed ‘lead’ of a group of adults. We have a credential or license to do our educational and/or clinical work yet becoming a department chair, committee head or team lead requires different set of skills. In this session participants will discuss the role of “group leader” and the skill set that goes with this new role in building collaborative and professional culture within their workplaces. This foundational program is designed for all professionals in any role interested in learning and reviewing basic communication skills that build more trust in relationships. The workshop will provide skills to change personal behaviors within one’s sphere of control that can increase trust in everyday interpersonal and group interactions. How do we as teachers think about how we teach a lesson? What do we want students to know and be able to do as a result of our lesson? 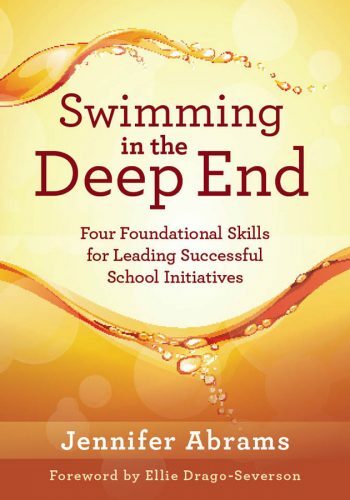 How might a teacher design instruction that truly facilitates deep learning? This workshop helps delineate six essential skills of effective instruction, and provides extensive time for personalizing the content to a given subject or grade level. It also emphasizes how to differentiate during lessons and provide culturally responsive teaching for a variety of populations, including strategies for meeting the needs of English Learners. Creating a sense of belonging for all students in a classroom and at a school is essential to learning. What can leaders do to make students feel safe and welcome? What can teachers do to create an environment in which students feel supported, capable and competent? Based on Steele and Cohn-Vargas’s book, Identity Safe Classrooms: Places to Belong and Learn, participants will study the concept of stereotype threat and then learn a set of behaviors that are within the teacher’s and leader’s spheres of influence and control in order increase identity safety for all students.